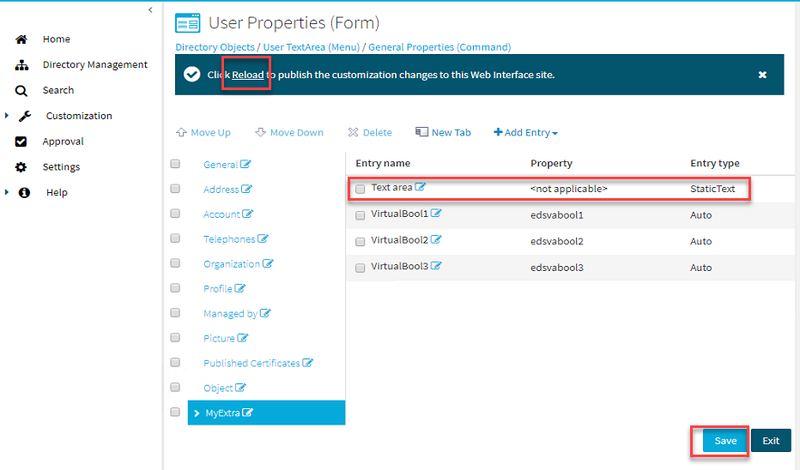 When creating a custom form in the web interface, if the first three entries are virtual Boolean attributes, when clicking inside one of the thick boxes the wrong element is getting selected. As a workaround add empty text area above the first attribute in the form. This issue will be resolved in a future release of Active Roles.